Description: Ever wish you could call up a Startup expert or a growth hacker, like a 900 number back in the 90s and spend $X a minute getting their advice or feedback on your project? 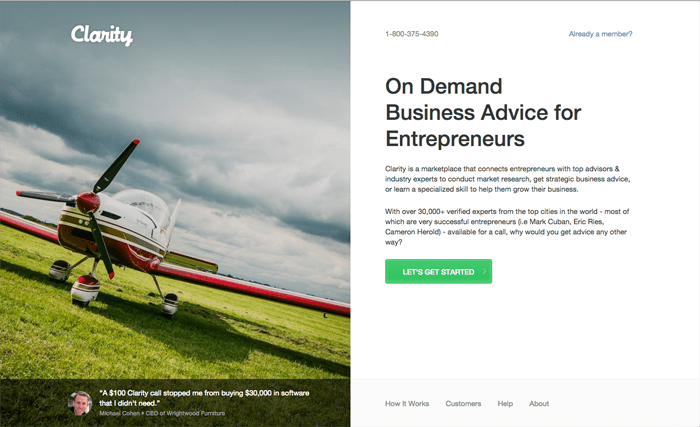 Clarity makes it possible with this "Dial-A-Mentor" service, having some 20,000 experts on tap. Rates go from $2.50 a minute for someone you've never heard of, to $166 a minute for Mark Cuban. Description: Goalchieve is an online, collaborative tool that allows users to share their knowledge, advice and experience in order to help each other achieve goals. 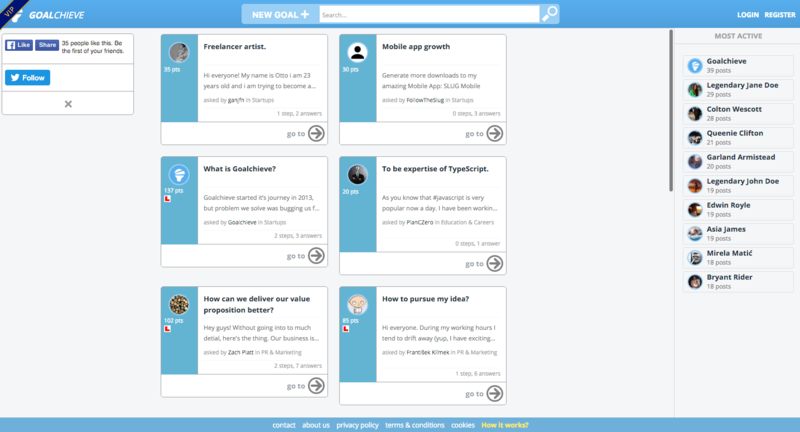 Unlike typical q&a website, goalchieve allows you to split your big question into small, easy to follow steps. You describe what your goal is, and other users give you suggestions on how you should approach it. But here's where the magic starts: once you get stuck again, you ask follow-up question, and the process continues, until you achieve your goal! Are we missing an awesome resource here? Tell us what we should add. There's a 1 to 2 month backlog for adding new projects to the site. Want to expedite the listing and get on the site within three business days? Upgrade your listing on the next page after submitting. Drop your email address and get on the list to receive a weekly curated email of the best Startup articles from around the world, and learn of the best new tools as we come across them. Like how this site looks? It's built off a theme from Pixelarity. Check them out. Disclosure: We are a directory service that sometimes receives compensation from the companies whose products we list. Opinions expressed here are our own. Listing a site does not necessarily endorse it.